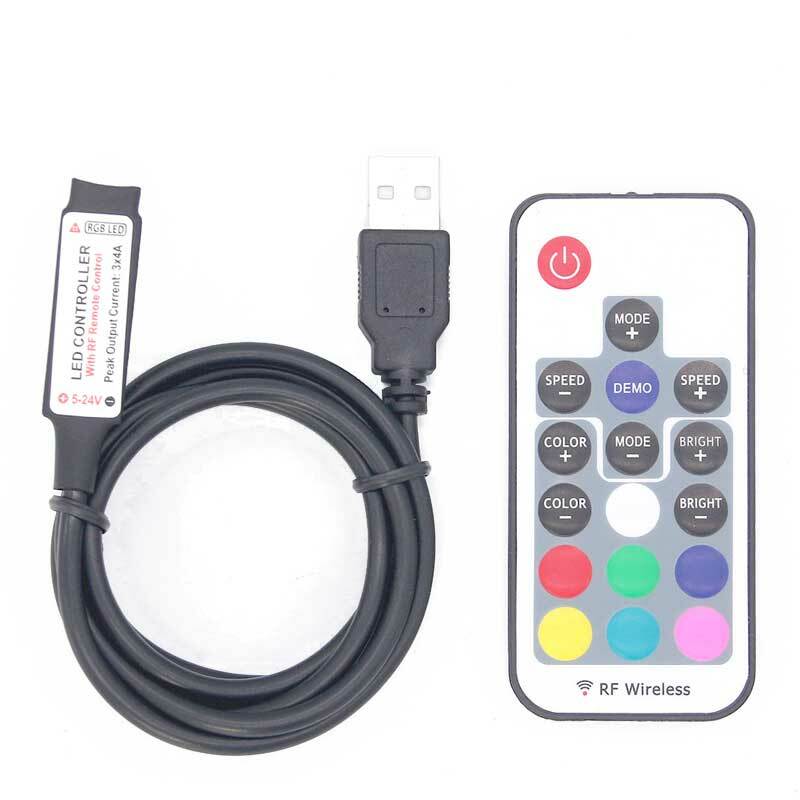 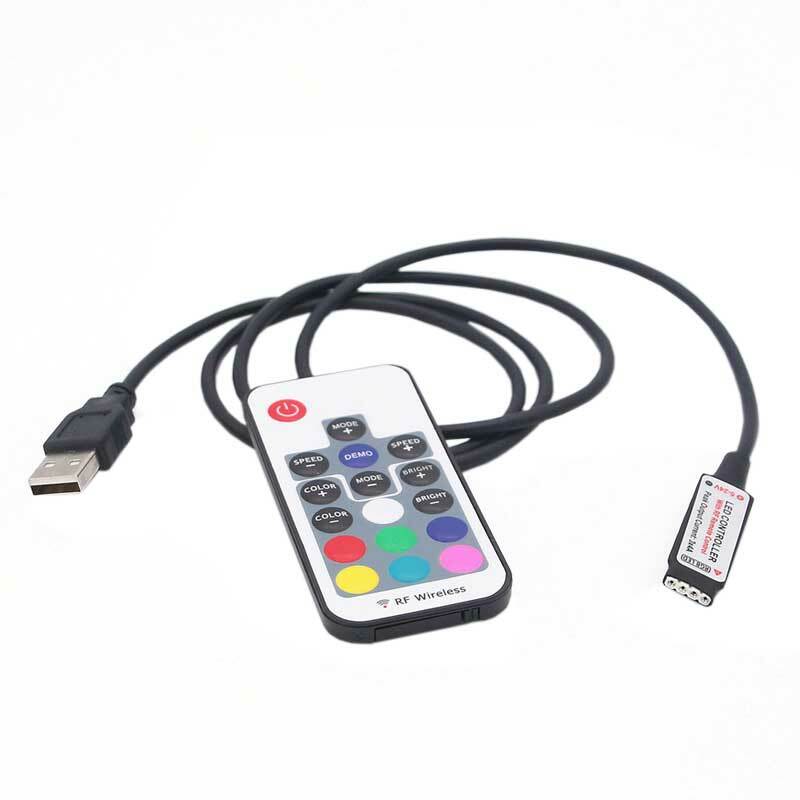 The USB RF RGB LED Controller kit is designed to connect to a standard USB port available on a computer, TV, home entertainment center, or USB stand-alone power adapters. 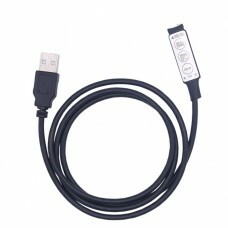 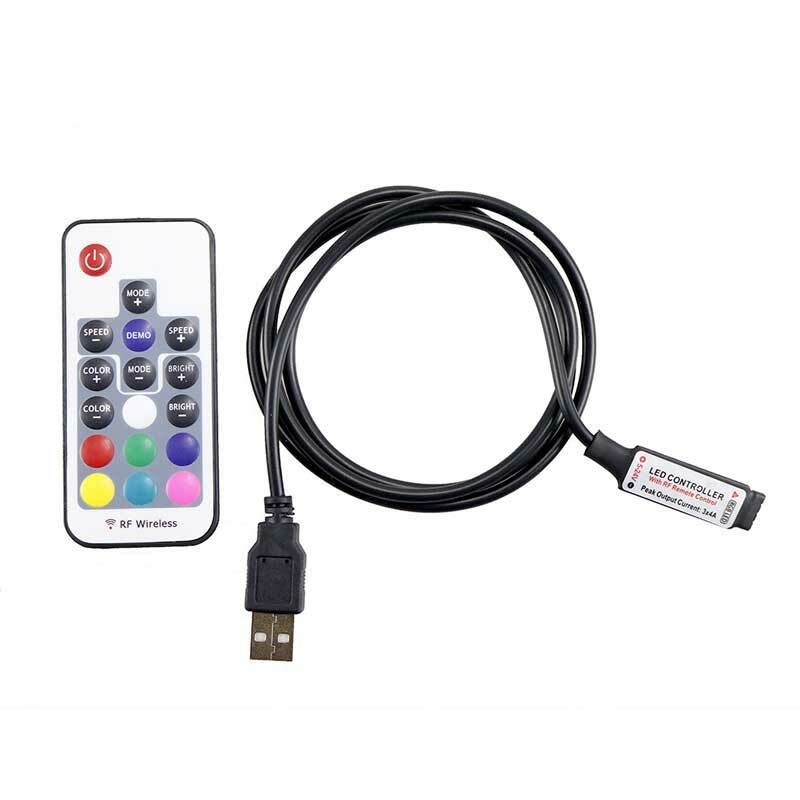 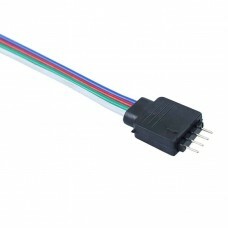 The system features a 17-key RF remote which controls the mini receiver control unit. 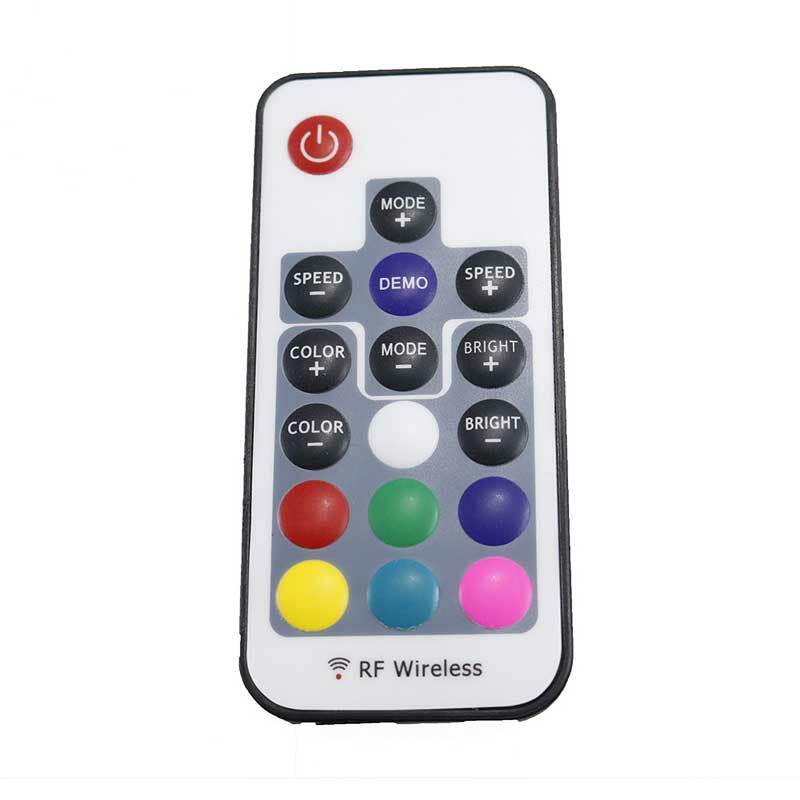 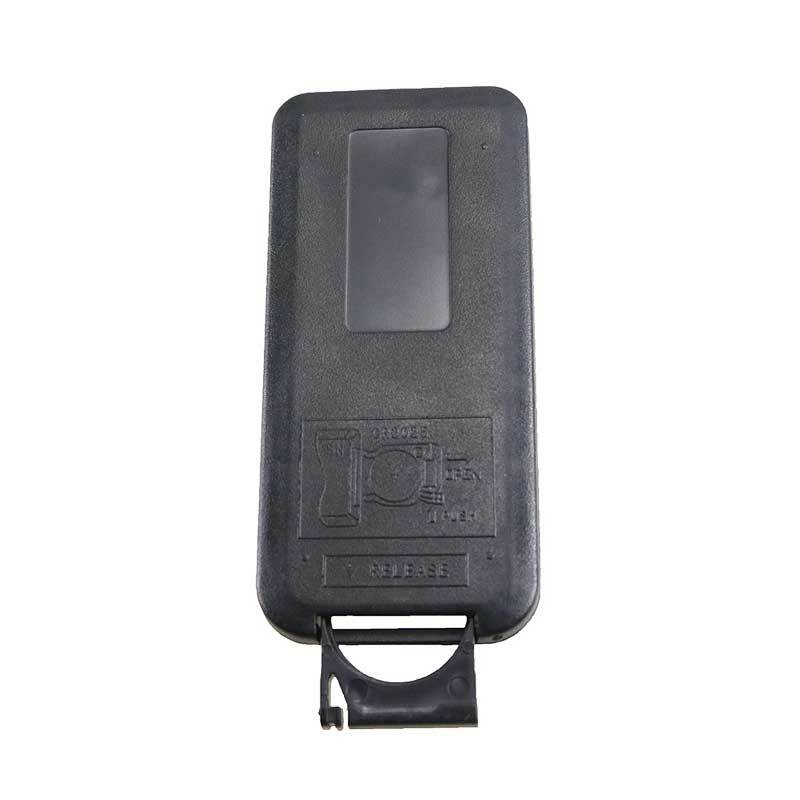 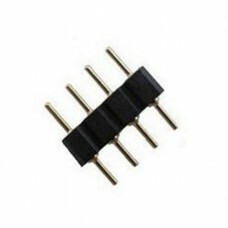 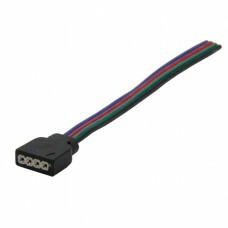 Because the system is RF based, it can control the mini receiver control unit even if hidden from sight. 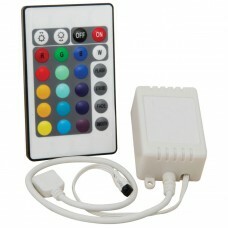 The system has featured 22 dynamic color changing modes along with 20 static color displays. 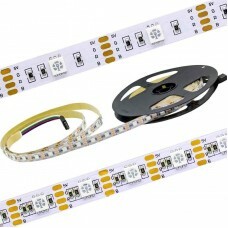 These include fading, gradient color modes, flashes, jumping and more. 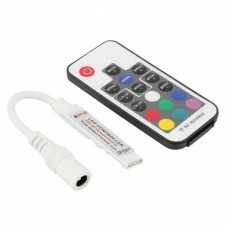 Each is composed of mixed colors of RGB with different ratios, which can bring gorgeous effects. 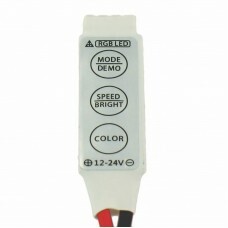 MODE+ / MODE- : switch to dynamic mode from static lighting mode or switch between dynamic modes.